It’s a long while since the last time I wrote on this blog. I had been so busy lately that I was forced to give priority to the Italian market. 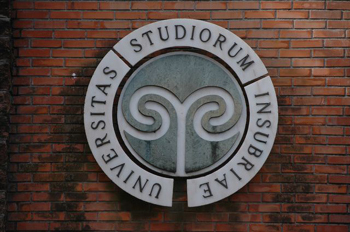 After publishing “Kindred Intentions” in English I had a very long May, in which I taught a class about self-publishing at the University of Insubria in Varese, in Northern Italy, that is very far from where I live. Actually I had to take a flight, a bus, a metro train and a train to get there from my city, Cagliari. I spent two separated weeks there, at the beginning and the end of the month, during which I ran a 16-hour course. It was a great experience. I had the chance to teach what self-publishing really is to some students who had no much information about it. But, as you can imagine, the preparation for this job needed more time that the one used for the actual classes. 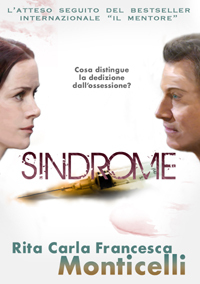 I had been preparing it since January and when it finally ended I realised that I had fallen behind with everything else, also because in the meantime I was finalising the publication of the Italian edition of “Syndrome” (the sequel to “The Mentor”), which was published on 21 May (see the Italian cover of the book at the bottom of this article). Then its promotion followed, and therefore I found myself at the end of June and, now, at the middle of July. But I haven’t forgotten my English books and my English-speaking readers. Right now, I don’t know when I’m going to translate another book into English. I wished that the next one were “Syndrome”, given that “The Mentor” had so many readers (more than 165,000), but as you know, the latter was published by AmazonCrossing and, since they don’t appear interested to translate its sequel, at least at the moment, I decided to focus my efforts regarding the Detective Eric Shaw Trilogy on the Italian editions, so that I can have it completed by next May. Once I have the whole trilogy ready, I’ll decide whether I should self-publish book #2 (Syndrome) and book #3 (Beyond the Limit), unless I get an suitable offer from the publisher. I must say that having no control of book #1 limits the chances to promote the other novels (which reminded me why I love to be a self-publisher! ), but I could maybe bypass the problem by creating a book #0 and/or a book #1.5 (probably novellas), which would raise interest in the series in potential readers and even fill the gaps for those who haven’t read or doesn’t want to or even couldn’t (because they aren’t Kindle users) read book #1. I don’t lack imagination, so I think I’ll find a way. The only thing that I lack at the moment is time, so I must focus on some priorities. Anyway I have some news concerning my English books: “Kindred Intentions” will be available on more retailers starting from 26 July! I tried KDP Select for 90 days and I’m not satisfied. Kindle Unlimited was a total disappointment. I didn’t get enough read pages to justify giving exclusivity to Amazon. Moreover this isn’t a long book; therefore the maximum amount I can earn from a full read copy is really small. Paid promotions on Amazon website were useless and I wasn’t allowed to put advertising on Kindle devices because there are guns in the cover. 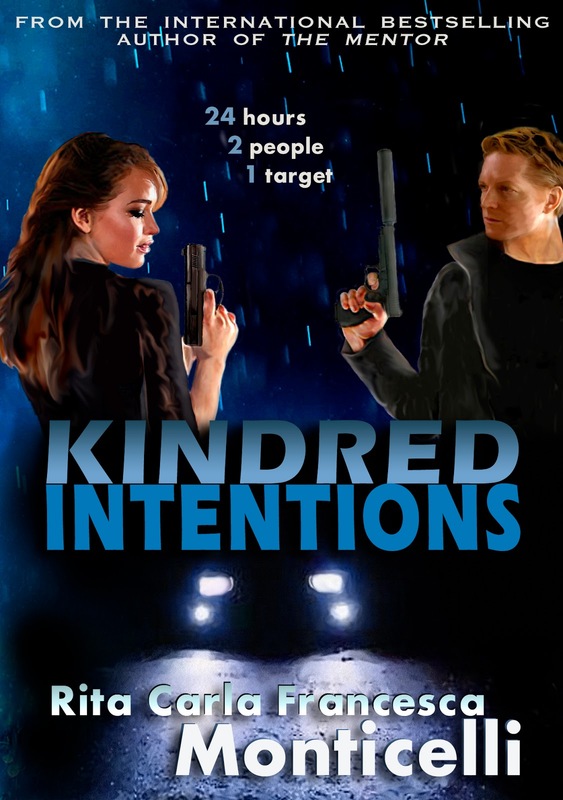 This is really funny, given that “Kindred Intentions” is an action thriller! Apparently you can buy a gun whenever you want in USA, but you can’t see a gun pictured on a book cover in an ad on your ereader. You can just laugh at this, can’t you? Finally, I used Kindle Countdown Deals. They worked only because I had paid some third party services, but there was no long-term effect on the sales and couldn’t fully exploit them because the book wasn’t available outside of Amazon. The Kindle Countdown Deals are surely a convenient way to schedule a priced promotion, but 7 days out of 90 aren’t enough, and you can get the same effect if you have your book elsewhere, do a priced promotion there, and let Amazon adjust the price. So it can be fully replaced. Once “Kindred Intentions” will be available everywhere, I’ll focus on finding new ways to promote it, before taking decisions on further translations. Anyway there’s another book that I’d like to translate in the near future, i.e. “The Isle of Gaia” (original title: L’isola di Gaia). It is the second part in the Aurora Saga, which includes the “Red Desert” series as first part. I’m currently editing part #3 in the saga in Italian; it is titled “Ophir”. And there will be two more novels in this series, which will keep me busy until 2020. I promise all of them will be translated into English. I’ll be able to give you more details at the beginning of the New Year. Moreover I’m actively seeking new opportunities for exploiting more rights from my books. I can’t be specific now, but I hope that, if some of them are successful, it’ll make a difference in the English market, too, and could speed up the translation of more books of mine. I just have to keep working, but I also ask you to keep your fingers crossed for me. And now, just stay tuned, because this blog is coming back to life. I’m going to publish more posts starting from next week. They’ll include book reviews, a series of articles related to forensic science in fiction, the locations of my books (some suggestions for your next holidays? ), my favourite TV series and authors, and much more.